I made the mistake today of checking out public opinion. And I’m amazed, saddened and tired of the way our contemporary society “dialogues” about issues. One liberal TV personality is ripping another network for its repeated stories about a surfer dude who buys lobster with his food stamps. Can’t networks just report what they want? And we’ll watch (or not)? “Free speech” isn’t really “free” if all we do is lambast people for saying what they want to. Thousands, along with a major beer maker, are ripping the South Boston St. Patrick’s Day parade for not allowing the LGBT community to march in their own honor in their parade. Imagine – a parade in honor of a Christian saint, not celebrating what the Bible clearly calls immoral behavior. Aren’t the parade organizers free to do whatever they want with their parade? Meanwhile, The Guardian has published a story about a NASA research study which warns of a systematic collapse of the industrialized world, perhaps in about 15 years – to the mockery of many of its readers. Instead of just reading this article, and giving consideration to its contents, do we have to attack it’s validity and appropriateness? Slow to listen, quick to speak, quick to anger. What’s fatiguing about all of this is that we can’t even talk anymore. Everyone seems to be in attack mode. People are angry. In “the land of the free,” where we have our rights, and an unmatched level of economic prosperity, we’re not at peace. Not even close. What makes this hard for me during this Lenten season is … well, I’d like to make a difference. The main difference I would like to make is the sharing of the truths of Gospel: That God created a wonderful world — but then man messed it up — but that God has reached back to us in Christ to reestablish our friendship with God. God has not only promised eternal life, but a blessed life now if we choose to follow His precepts. I think this is great news! But, I get tired of sharing it. Really tired. Why? 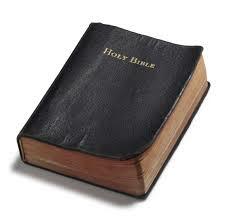 I believe God has spoken about life as we know it, and made His word clear about many of today’s issues. I believe these truths are compiled in the Bible. I believe that there is blessing in believing and following God’s ideas. I also believe there is great danger in ignoring God, and living against His ways. When I share this, it’s because I care about people, and want them to have what I’m convinced is the best possible life — reconciled to and blessed by God, forever. But, in our climate of dialogue now days, this message, and its messengers, have been radically reinterpreted. Now, I’m a hater. I’m a bigot. I’m intolerant. I’m oppressive. I’m a prude. I’m against liberty and freedom. I’m unenlightened. I’m a lemming. I think that’s where a lot of believers are today. It just hurts too much to care. So we recoil, cocoon, and enjoy our like-minded fellowships. But there’s a gnawing guilt we all share that there’s a hole in this kind of gospel living. It’s inescapable. We’re to proclaim this Gospel as we offer practical love and service to the angry, ungrateful world around us. 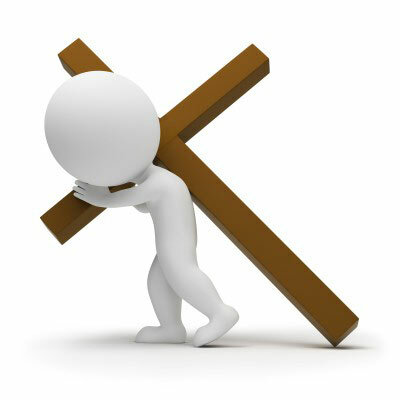 And we’re to pick up our cross daily and follow Jesus – because He knows we’ll get crucified by this world, even as we’re simply trying to help it.